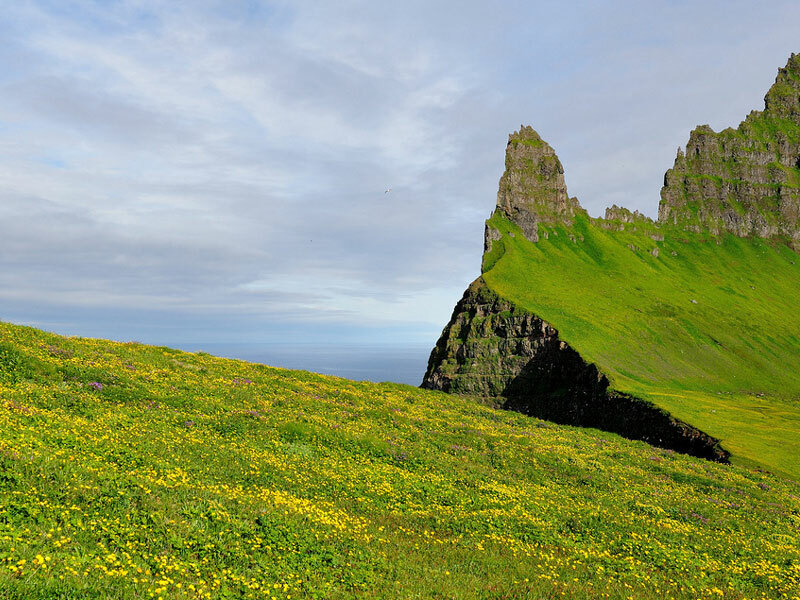 Some say that Iceland was named by tricky Vikings who, in an effort to keep it all to themselves, tried to disguise the fact that their new settlement was actually a spectacularly lush, green land worthy of envy from the entire Nordic world. While the tale may be unlikely, there is no doubt that the nation is one of the most breathtakingly beautiful on earth – and if you get the opportunity to visit, you really shouldn’t miss these must-see destinations. 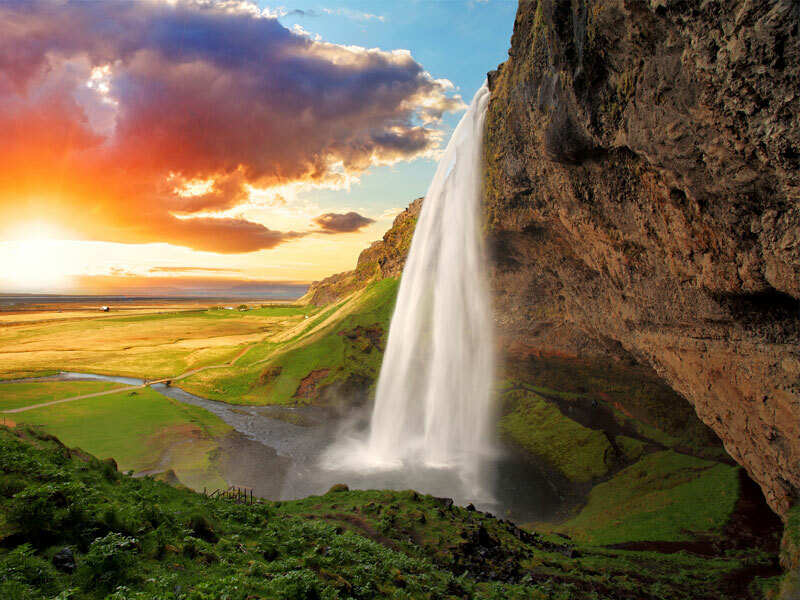 Seljalandsfoss, located between Skógafoss and Selfoss, is one of Iceland’s most photographed falls, plummeting nearly 200 feet into a pool below. Visitors can even walk around the pool to the back of the falls for an especially unique perspective few get to ever experience. If you’re very lucky, you can even watch the Northern Lights from inside the waterfall. Skogafoss is one of Iceland’s most famous waterfalls and one of its largest, dropping nearly 60 feet with a more than 80-foot width. 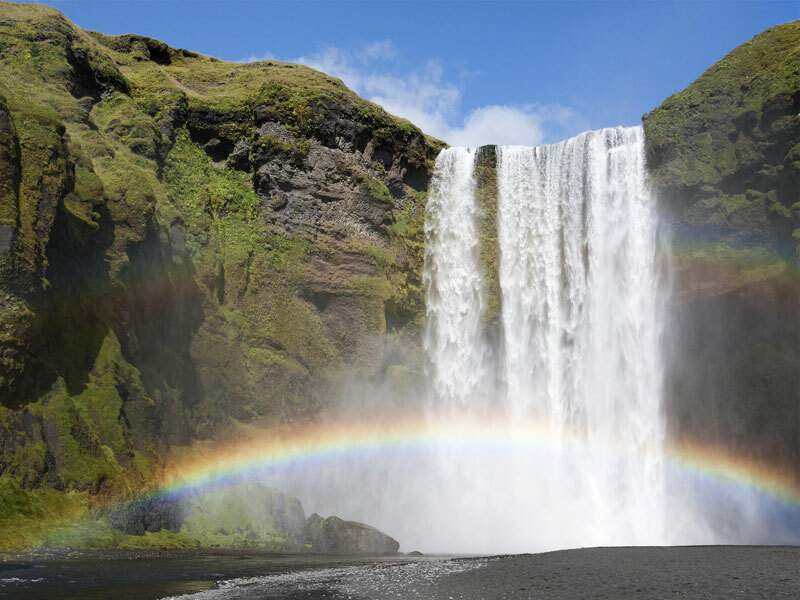 As the high volume of water flows, it produces a thundering sound as well as a rainbow-yielding mist that makes it a photographer’s dream on a sunny day. Legend has it that buried treasure lies in one of the caves behind the magnificent falls. In the river below, there is a large salmon and char population, making it a popular summer fishing spot. The path that leads to the top of the falls continues following the river upstream, where even more spectacular falls await. Barnafoss, or Children’s Falls, is a waterfall located in the northwest region of the island, though it’s more of a series of rapids, running into a narrow, rocky chute. It takes its name from two children who disappeared many years ago from a nearby farm. There was once a rock arch that served as a bridge over the waterfall, and the children were thought to have fallen off into the river, never to be seen again. Their grieving mother destroyed the arch, according to legend, putting a curse on the falls so that no one would ever be able to cross the river and live to tell the tale. 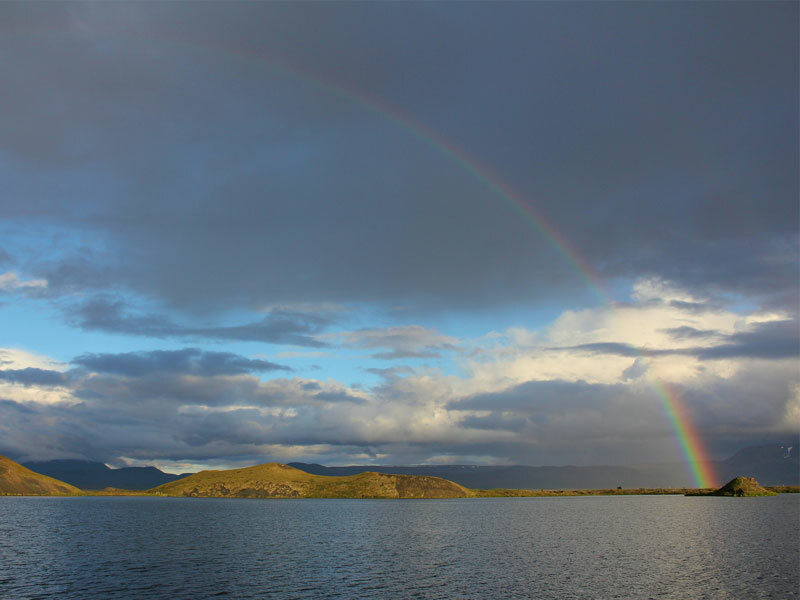 Lake Myvatn, near Akureyri in North Iceland, is the country’s fourth largest natural lake. It was established as a conservation area in 1974, internationally renowned for its bird life and wide variety of duck species – during the summer there are more different species of ducks gathered on and around the lake than anywhere else on earth. It’s also known for its bizarre yet inspiring volcanic features that surround it. It’s certainly well-worth spending a few days here to explore this extremely diverse landscape in order to fully appreciate all that it has to offer. 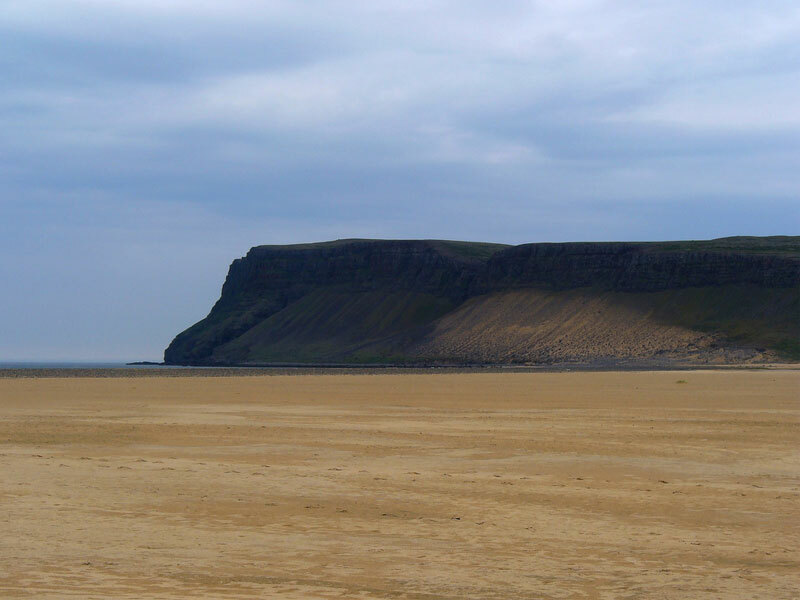 On this brooding, lonely peninsula that reaches out into the Atlantic, culminating at Latrabjarg, the most western point in Europe, you’ll find Breidavik Beach. 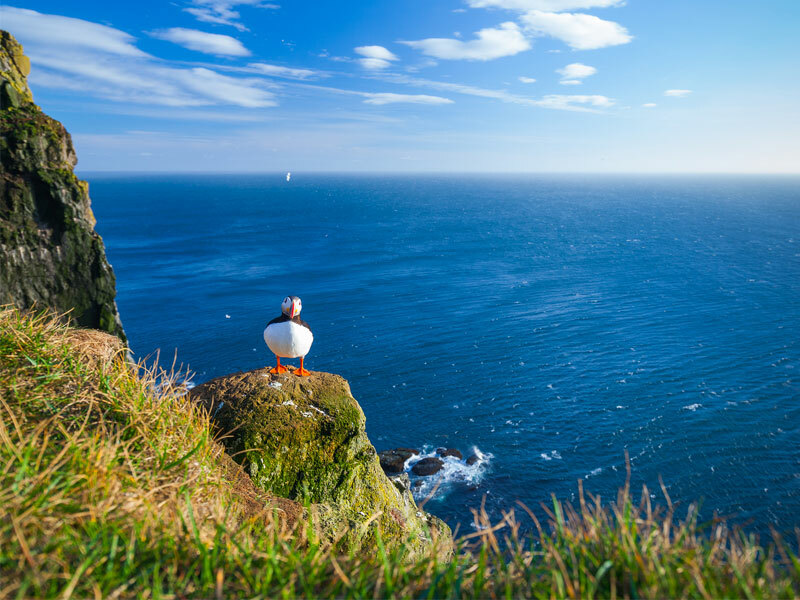 The area is also the home of one of the world’s greatest bird cliffs, with lots of puffins, razorbills and other seabirds. The beach is one of Iceland’s most beautiful, a seemingly endless stretch of deserted golden sands bordered by turquoise waters. 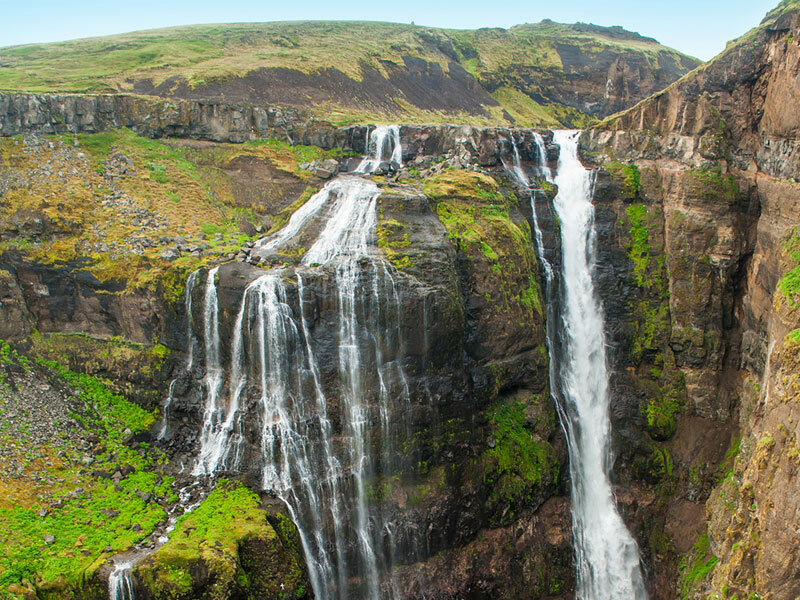 This waterfall, found deep inside Vatnajökull National Park, is said to be the most powerful in all of Europe. 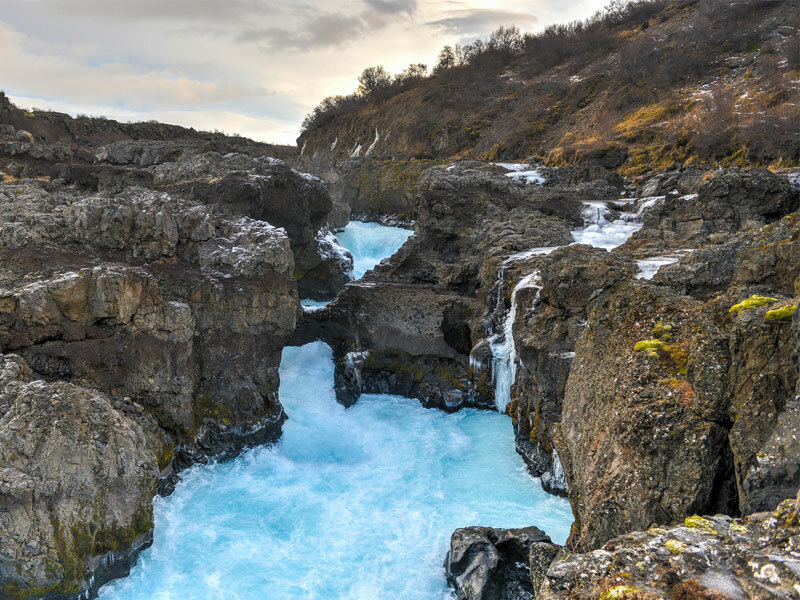 It’s situated on the Jökulsá á Fjöllum River, which flows from Vatnajökull glacier. The falls are 330-feet wide and drop 150 feet down into a canyon below, with more than 132,000 gallons of water plunging over the edge. Asbyrgi, located in the northernmost region of the famed Jokulsargliufur National Park, is a gigantic, anomalous, horseshoe-shaped rock formation that stands guard next to the northern entrance of the nearly 22-mile long Jokulsa Canyon, which forms one of the most spectacular walking destinations in Iceland. Inside, you’ll find numerous hiking trails that range from short 30-minute treks to 7-hour adventures. Walk across the canyon floor to view honeycombed basalt rocks, or traverse the cliffs, marveling at the sheer scale of the rock formation. Glymur is Iceland’s highest waterfall, cascading over 643 feet down the deep gorge of Botnsdalur Valley. This especially graceful waterfall is best viewed from the top, where you’ll also enjoy breathtaking views of the valley and Hvalfjörður fjord. Getting there requires a 4-hour trip up and back, including climbing among rough rock formations, but if you’re up to the task it’s certainly worth the reward. Standing atop the falls, you may feel as if you’re on top of the world. Strokkur geyser is one of Iceland’s greatest natural attractions, sitting in the middle of the geothermal field, surrounded by bubbling springs and yellowed rocks in the east region of Thingvellir National Park. It erupts once every four to eight minutes, and gets as high as 65 feet, though it was once measured at over 120 feet. 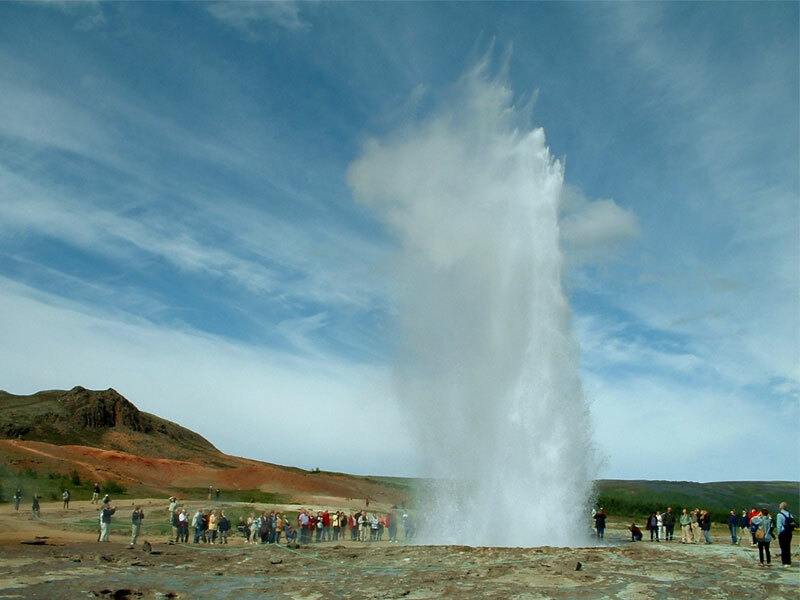 While it may not be the most impressive geyser, it’s certainly spectacular, as well as the most reliable. Just like clockwork, the turquoise water starts to gurgle and bubble, growing and growing, until it sudden shoots up into sky among the “oohs” and “aahs” of the crowd below. The town of Vik is Iceland’s southernmost village, facing the Atlantic and framed by a long, black volcanic sand beach. It was named one of the most beautiful non-tropical beaches on earth by Islands Magazine. 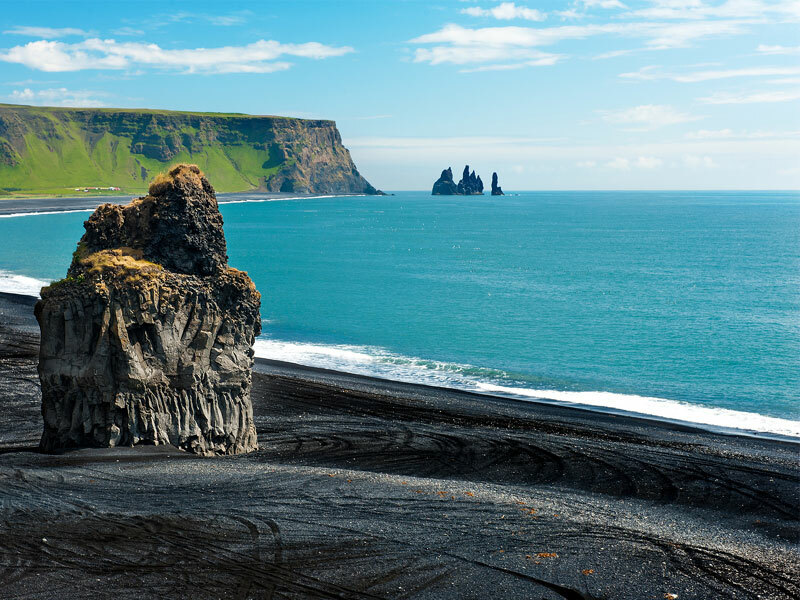 The area is renowned for its rock formations sticking out of the sea, like the Trolls of Vik. Legend has it that this unique formation of pillars was formed when trolls attempted to drag three ships ashore. Hornbjarg, part of a nature reserve, is a sheer cliff situated in the Westfjords of Iceland adjacent to the cove of Aðalvík and the bay of Jökulfjörður. The cliff was previously known as “The Western Horn,” and is one of one of the greatest seafowl habitats in the country. The highest peaks of its razor-backed ridge reaches more than 1,750 feet above sea level. Unfortunately, this is also one of Iceland’s most remote destinations. It requires a 2 ½ hour one-way boat ride from Ísafjörður, mostly through the Arctic, to get there, which is why few travelers ever see it. 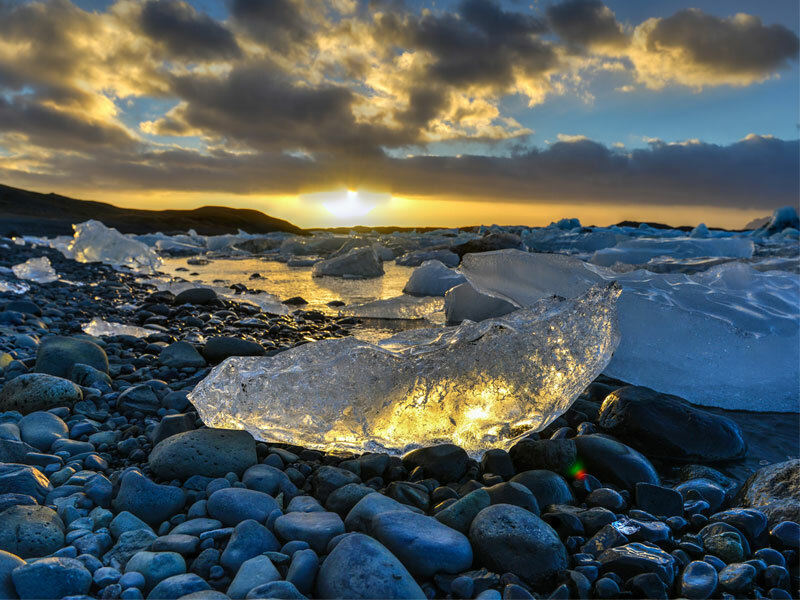 If you can manage it, you’ll be treated to one of the most breathtaking sights along Iceland’s coastline. 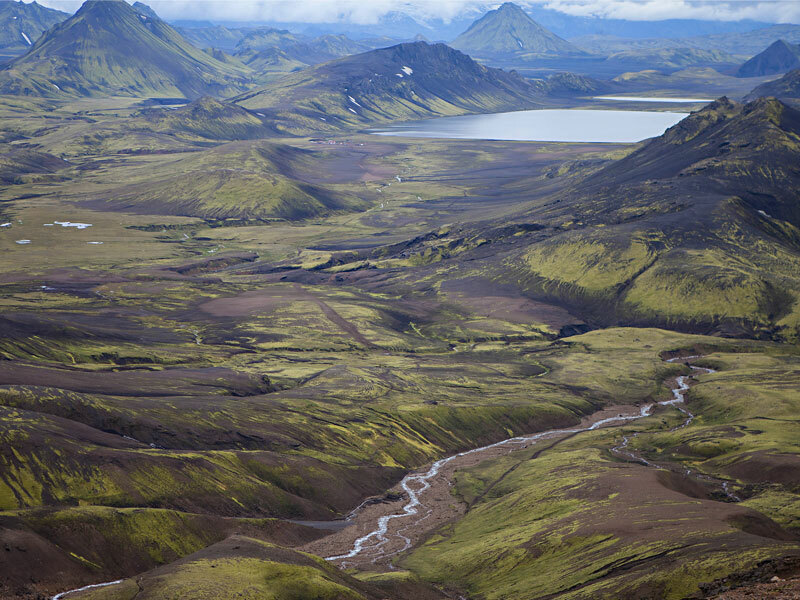 Landmannalaugar, sits at the edge of the Laugahraun lava field in the Icelandic Highlands. It was formed in an eruption back in the 15th century, known for its natural geothermal hot springs and incredible landscape filled with vividly-colored hills and hiking trails. Four-wheel drive is required to access the area, but there are a number of jeep tours available to take you there. 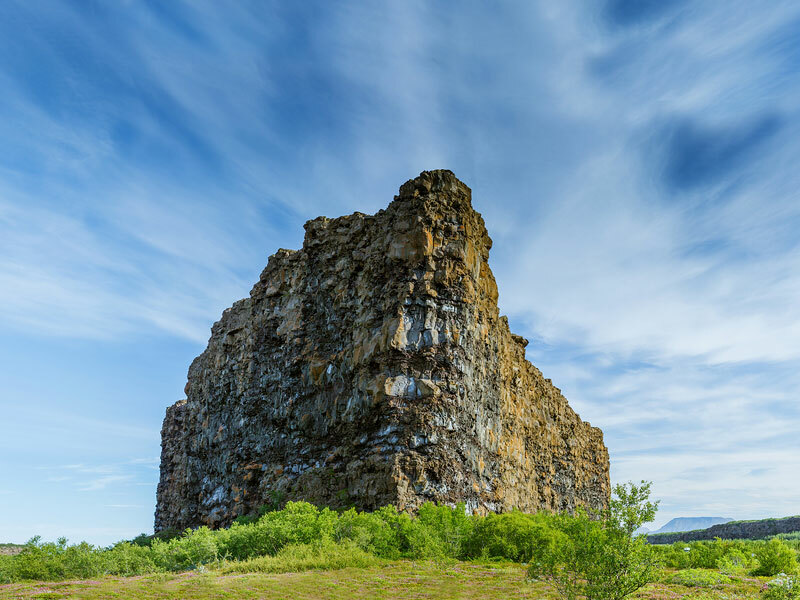 Once entering this fantasy-like world, take a trek to the volcano of Hekla, believed to be the gateway to hell during the Middle Ages, followed by a thermal swim in the lukewarm hot spring stream. 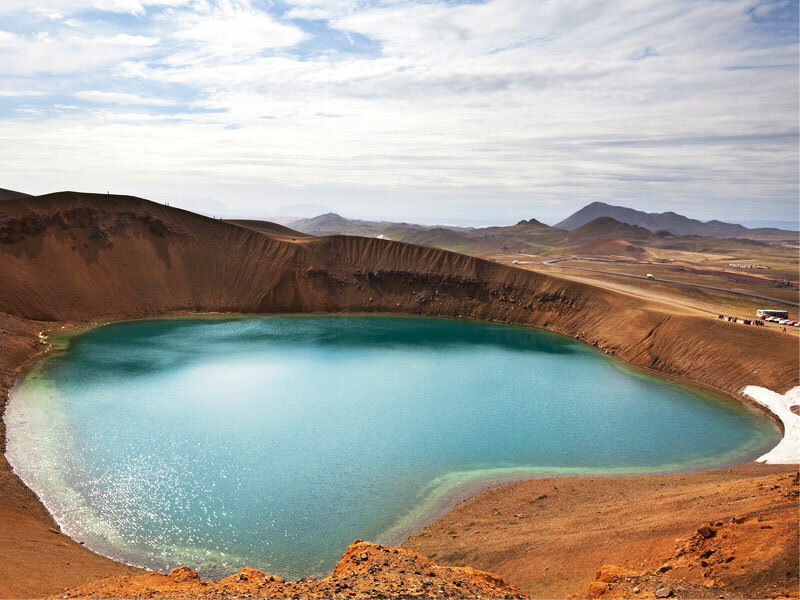 Askja is a stratovolcano in the Icelandic highlands, the name means box or caldera in Icelandic, referring to a number of calderas situated in the surrounding Dyngjufjöll Mountains. Viti, which literally means “hell,” is a warm geothermal lake naturally formed at the bottom of one of its craters. The term “Viti,” refers to the common belief in century’s past that big craters were the gates to the underworld. For an unforgettable experience, scramble down the sides of the volcanic crater and take a dip in Viti. Due to the high altitude, the region is only accessible from about late June through early October. If you want spend the night, you’ll find two mountain huts and a campsite at Dreki, near Drekagil Canyon – the Canyon of Dragons. The Blue Lagoon is one of the country’s most famous, and most picturesque attractions. This geothermal spa, located in a lava field in Grindavik on the Reykjanes Peninsula in southwestern Iceland, contains waters that are 98 to 102 degrees Fahrenheit year-round, surrounded by ice and snow. Set alongside the black, bleak landscape it makes a glaring contrast for especially impressive photographs. 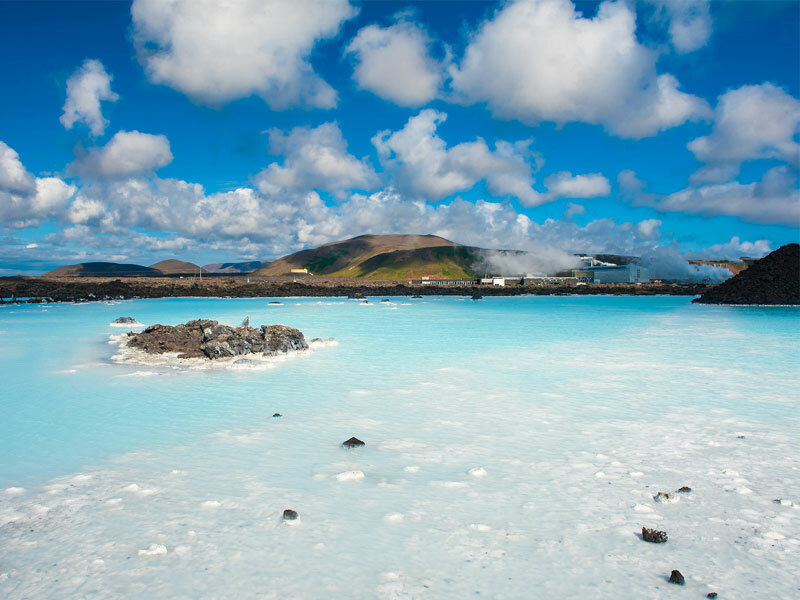 Though the lagoon itself is man made, the warm waters are natural as well as rich in minerals like silica and sulfur, believed to heal skin conditions such as psoriasis. 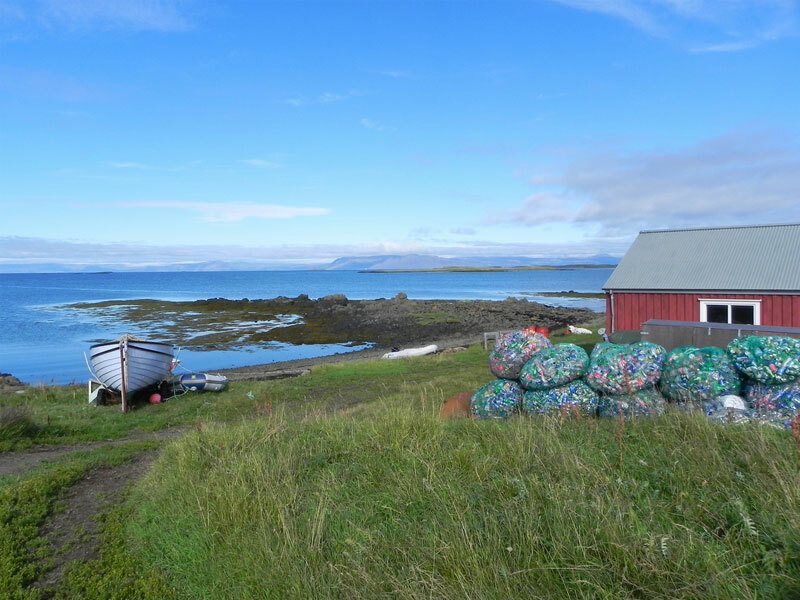 Flatey is a charming island where visitors can admire the West Fjord Mountains from the lush, green meadows of this peaceful hamlet. Here time stands still, with much of the islands houses built during the 19th century. There is only one single road, leading from the ferry dock to the “old village,” where you’ll find the beautifully restored, painted old homes that belonged to the island’s original inhabitants. Most houses here are occupied only during the summer – in the winter, the island’s total population dwindles down to five. 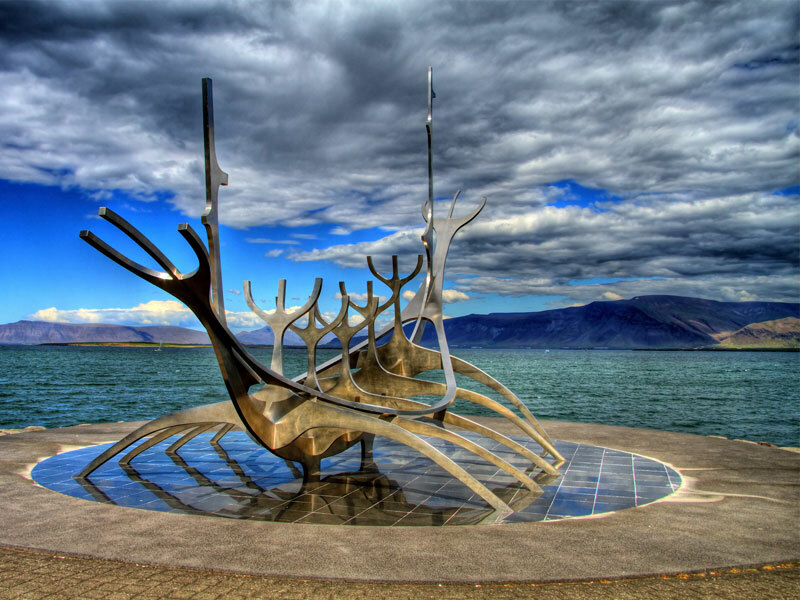 The Sun Voyager is a sculpture designed by Jon Gunnar Arnason, and is one of the most photographed spots in Reykjavik. This massive steel sculpture may resemble a Viking ship, but it’s said be a “dreamboat” and an ode to the sun. Intrinsically, it contains within itself the promise of undiscovered territory, a dream of hope, progress and freedom. From here, visitors can also enjoy an unforgettable view of Mount Esja, especially when framed by the fiery edges of dawn and dusk. Raufarholshellir is a lava tube cave in the Leitahraun lava field on Reykjanes peninsula, and was formed in a lava flow some 5000 years ago. It’s one of the better known lava caves in Iceland and is quite easily accessible. 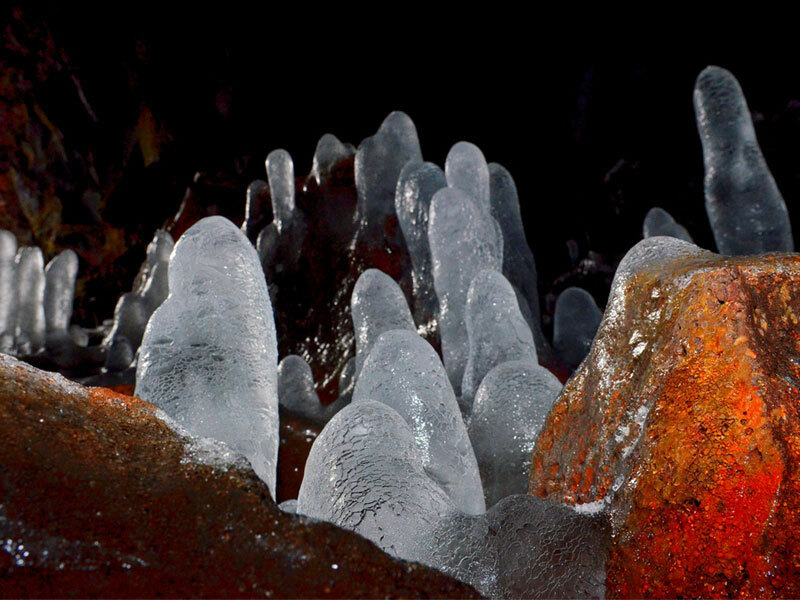 Visitors can walk right in to view ice candles and lava formations. While you can continue for more than three-quarters of a mile, if you choose to venture that far, it can be challenging to explore. Bring a powerful, reliable light-source; wear a hat or helmet, sturdy shoes and warm gloves. 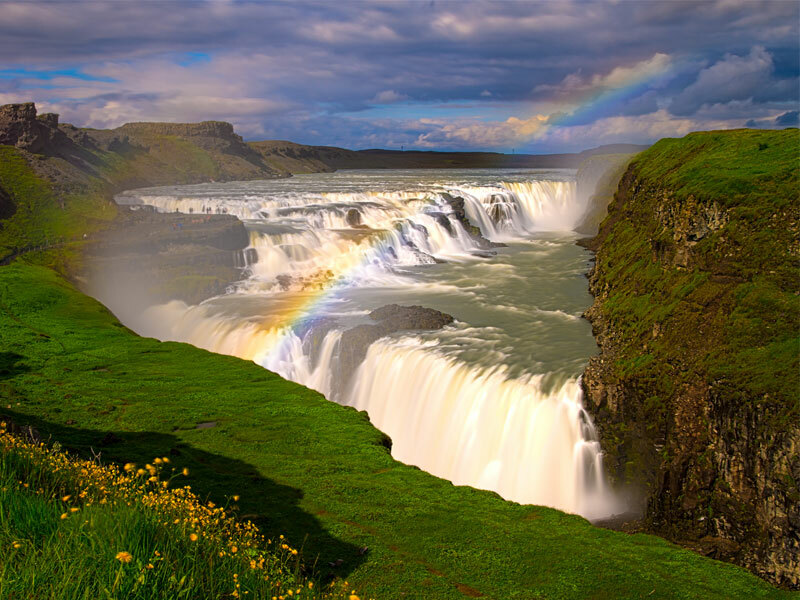 Gullfoss, also known as Golden Falls, is sometimes said to be Iceland’s version of Niagara Falls. 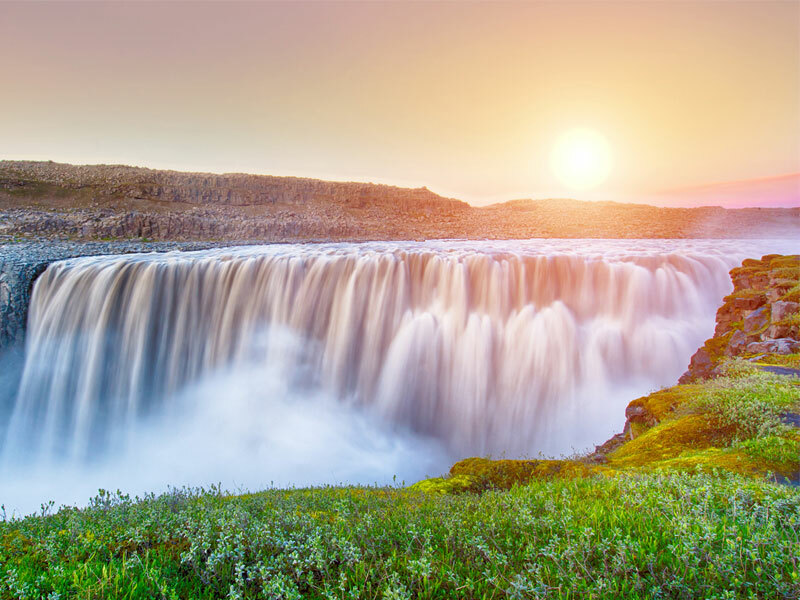 This astonishing waterfall, located in the upper part of River Hvita along the renowned Golden Circle cascades down in two steps, one 36 feet high, and the other at 72 feet high, plunging into the more than one-mile long canyon below. To stand and witness its incredible beauty and the power of the water is an uplifting, almost surreal experience. Latrabjarg, the massive sea cliffs that sit at the tip of the westernmost point of Iceland, are home to birds in unfathomable numbers. The cliffs are nearly nine miles long and up to 1447 feet at their highest point. If you want to get a picture of a puffin, this is the place to do it as they tend to be unafraid, almost friendly, to humans who hope to capture their image. The cliffs can be easily accessed by car, making this a destination that should most definitely not be missed. 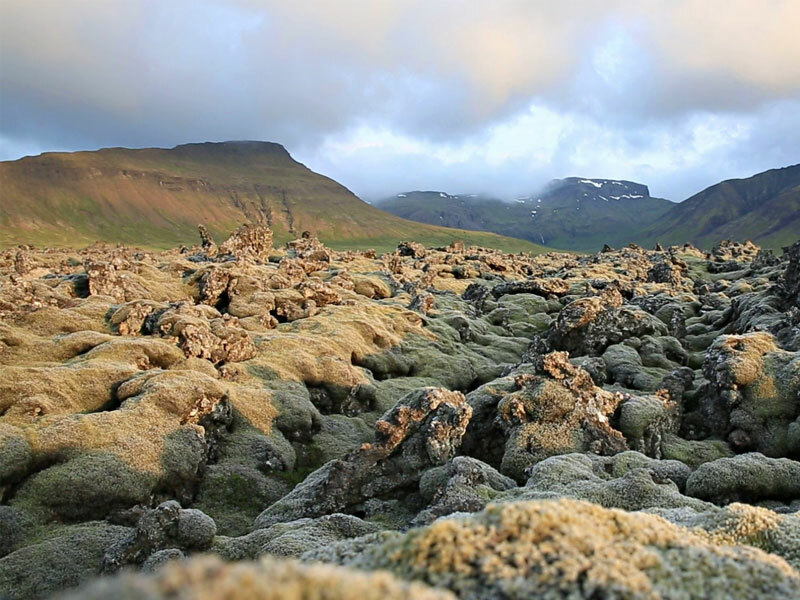 Created from three distinct volcanoes, the Lava Fields of Brennisteinsfjoll are together one of the most spectacular sights on earth. This bizarre, fascinating, yet marvelous place is something that you’re unlikely to see anywhere else on the planet. Filled with moss-covered boulders as far as the eye can see, it gives visitors a glimpse as to just how unique Iceland’s landscape truly is.